I’m thrilled to announce fun new products designed by my friend Amy Locurto from LivingLocurto.com. Along with American Crafts, Amy has designed her debut signature line for Pebbles Inc. How awesome is that?! I’m SO excited for her! It’s perfect for parties (Amy’s specialty), card-making and scrapbooking. The collection, Party with Amy Locurto, features 4 different, coordinating, themes: Mermaids, Superhero, Rainbow and Poolside. Everything you’ll need for a scrapbook project or to decorate a party is included in the line. Each collection includes double sided patterned paper, alphabet glitter stickers, boldly colored labels and dimensional stickers, paper garlands (perfect for decorating cakes), and detailed embellishments, including cute paper flowers and party favor bags. Here are some additional photos of the Poolside theme. 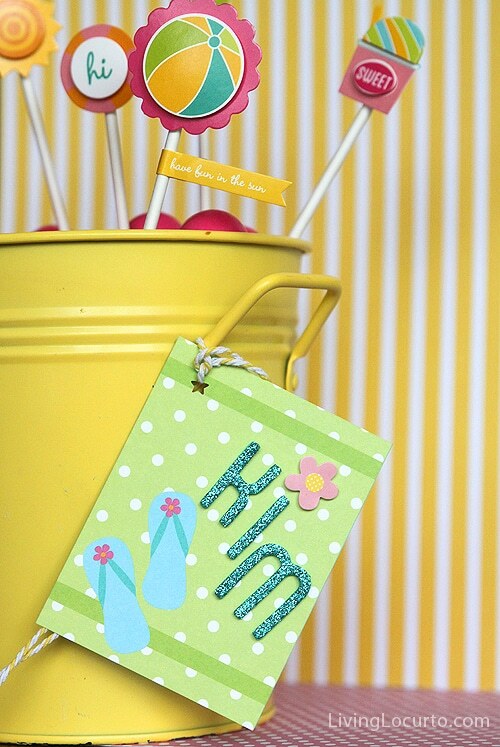 These cute stickers, paper and banners would be perfect for an adult or teen celebration. 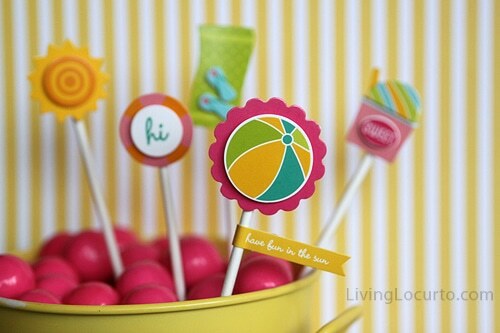 Just add a few to a cake or cupcakes and you’ve got adorable party decor. You’re sure to have a blast with Amy’s new signature line! To help celebrate the launch of these whimsical, new products, I’m giving some away today!! 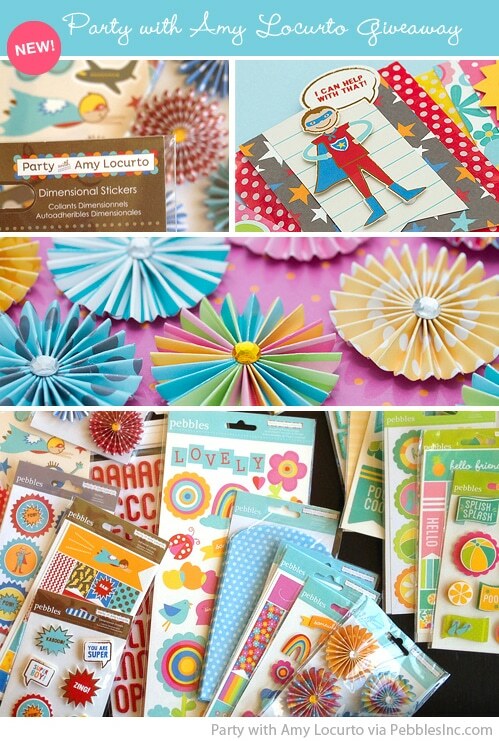 This giveaway includes all four “Party with Amy Locurto” collections. 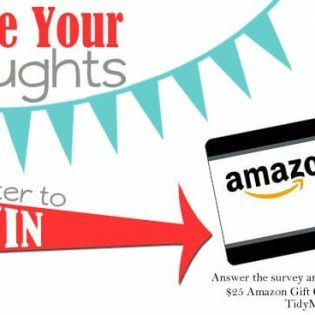 One lucky TidyMom reader will get these products before they can be found in stores! A value of over $140. Be sure to visit Amy’s blog today to see more images from her new signature line! For more chances to win, head over to Tatertots and Jelloand Just Something I Made. Available for purchase online soon at PebblesInc.com. Find out more on Living Locurto as Amy will also be adding coordinating printables in her shop. 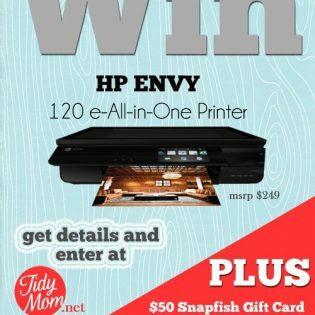 Disclaimer: giveaway sponsored by Amy Locurto and Pebbles Inc.
What a great line! I love the bright colors. These would be great for so many occasions!!! I like the themes and how colorful her line looks,pretty cute designs! 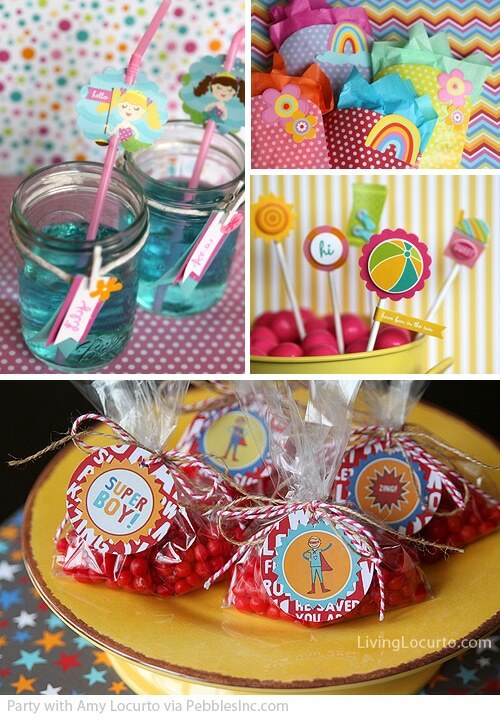 What wonderful party theme items! I love all 4 lines, but especially the rainbow. Love the new line- especially the poolside theme. Love the line. It is so exciting and new! I love the rainbow line! Awesome stuff! This line really adds some flare! I would love to win this I really love her designs. I love the bright new colors and patterns that she has used. I scrapbook and can see so many great possibilities from all these beautiful items. I like the designs and especially the pretty color combinations. I love the superhero collection! I love that the designs are so versatile! I am a scrapbooker and it is so cute. I love the colors, there are cheery! This looks like so much fun. It just might be the push I need to get back to my scrapbooking! How lovely! Thanks for offering this prize! Love the designs, great for so many different occasions. Love all the vibrant colors. Makes me want to make up an excuse to have a party. The designs are so adorable, and I absolutely love the colors. poolside is really cute, they are all so nice! I like how bright and cheery it is! ooooh the fun I could have!! I love all ur ideas I cant wait to start having fun with my son and my two grandbabies. Thank you!!! I can’t wait to use these! They are too cute.